Correcting my mistake of not reminding you to watch Gutsy Frog more often, I would like to inform you that the good people over at Gutsy Subs (with a little help from me with the script) just released Gutsy Frog the Movie, more accurately called “New Gutsy Frog: Gutsy Dreamer“. This is actually the part of the sequel series “New Gutsy Frog”, but it’s so good we decided we couldn’t wait and we had to give it to you right now. The classic 80s comedy Gutsy Frog is currently being released by Gutsy Subs. They just released episode 3 for which I helped them out with the translation. Go ahead and check it out! 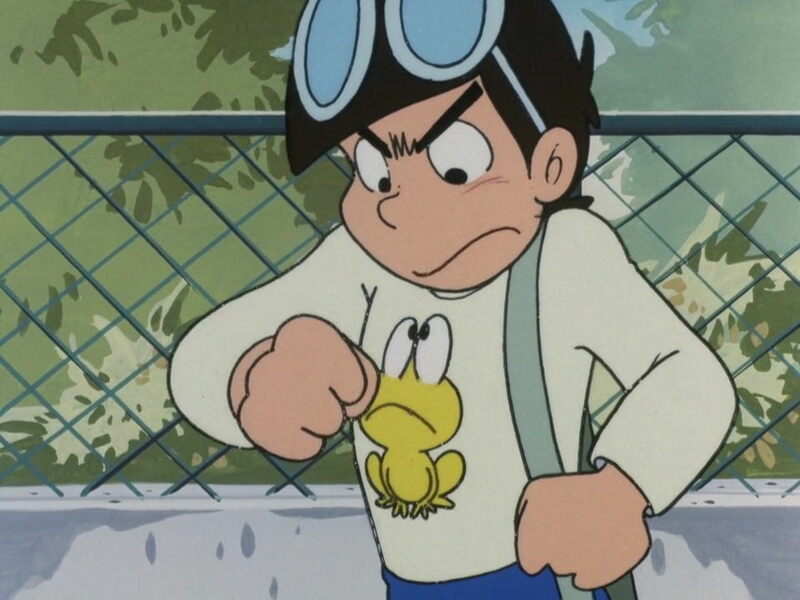 If you’ve never heard of it, it’s a show about a teenage boy Hiroshi and the talking frog who he fell on and is now stuck on his shirt and who is now teaching him how to go through life with guts (yes, that is the premise and it’s hilarious).